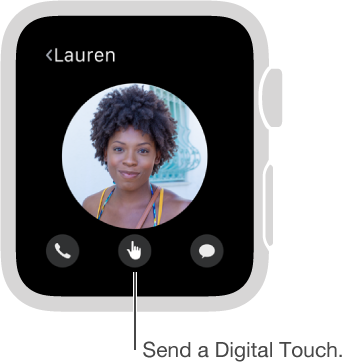 You can use Digital Touch to send sketches, taps, or your heartbeat to a friend with an Apple Watch. For information about adding friends to Apple Watch, see Get in touch with friends. Open Digital Touch. Press the side button to see your friends. Tap a friend, then tap the Digital Touch button below their photo. 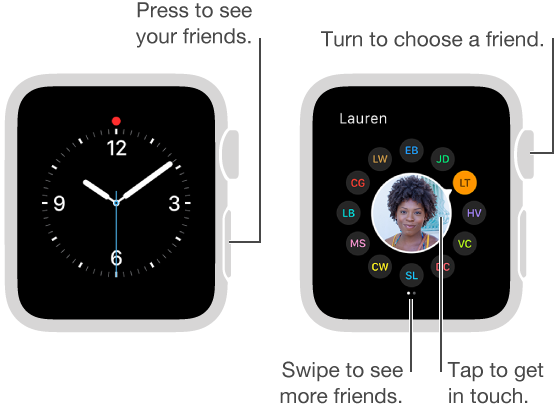 The button appears only if your friend has an Apple Watch.